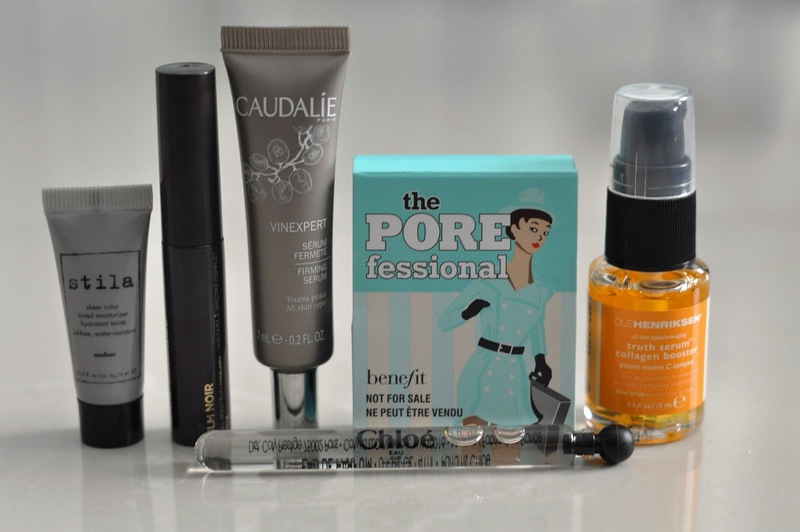 Sephora recently gave away a gift bag full of 6 deluxe sample items with purchase. I mainly went there to get my birthday freebie that I have missed every year till now (mini sugar lip treatment from fresh). 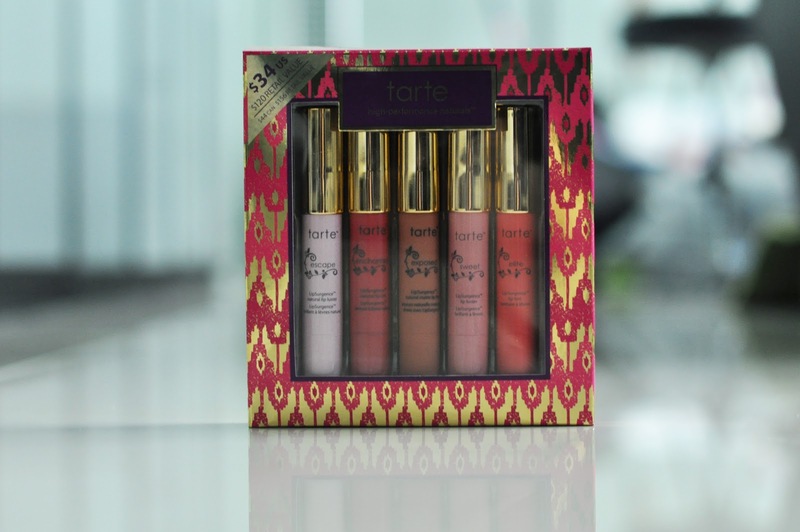 But then..I saw this Tarte 5-Piece LipSurgence Collector Set for $44 CAD and I had a wtf moment. 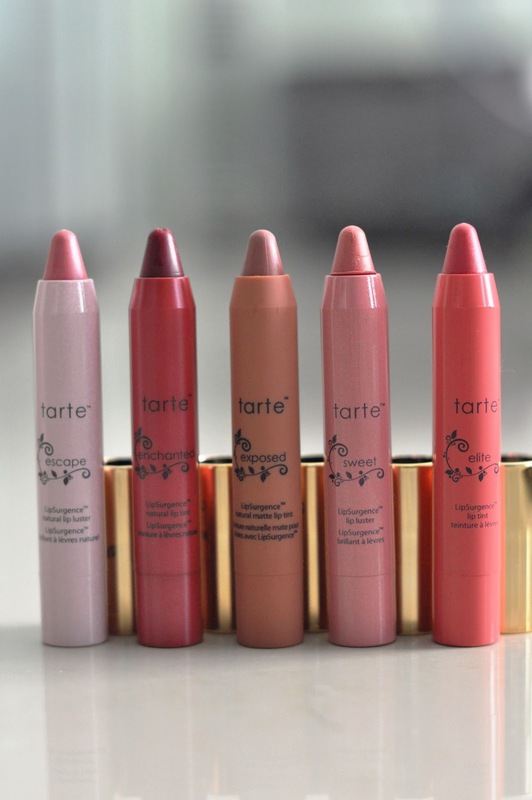 Those lip tints go at $31 for one. I don't want to say it's a no brainer, but let's just say, they go out of stock so fast. If you miss it this year, you might be able to get it next year. I believe this is only available around the holidays. 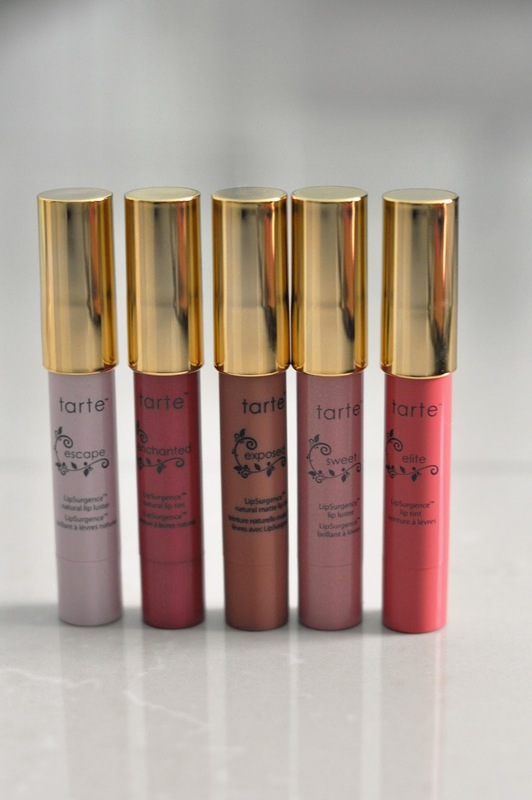 The only Tarte product I've ever owned was this lip exfoliant/balm duo that came with a mirror. It was good but I guess using your toothbrush to exfoliate your lips is equally as effective. I don't know if they still have it or at least in the same packaging (it's really old). These lip tints seem really creamy, I was popping the lid off "enchanted" and I accidentally got some on myself (you'll see that dent in the pictures). 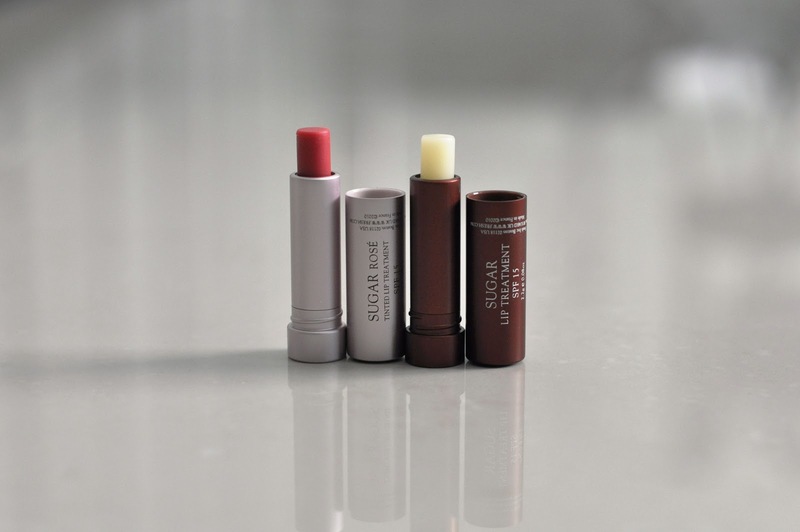 There seems to be only one matte color (pictured in the middle), such a suiting name haha. As far as lasting power goes, I don't expect tooo much.